This is the sixth Christmas devotion of twenty-five Christmas countdown on-the-go, active, object lesson devotions with Bible verses to help us keep our focus on the true reason for the season! 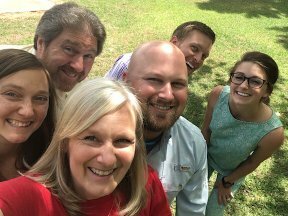 Each day snap a photo of each item for a visual and use as a photo challenge on Social Media, or with your family, small group, friends or just for yourself. 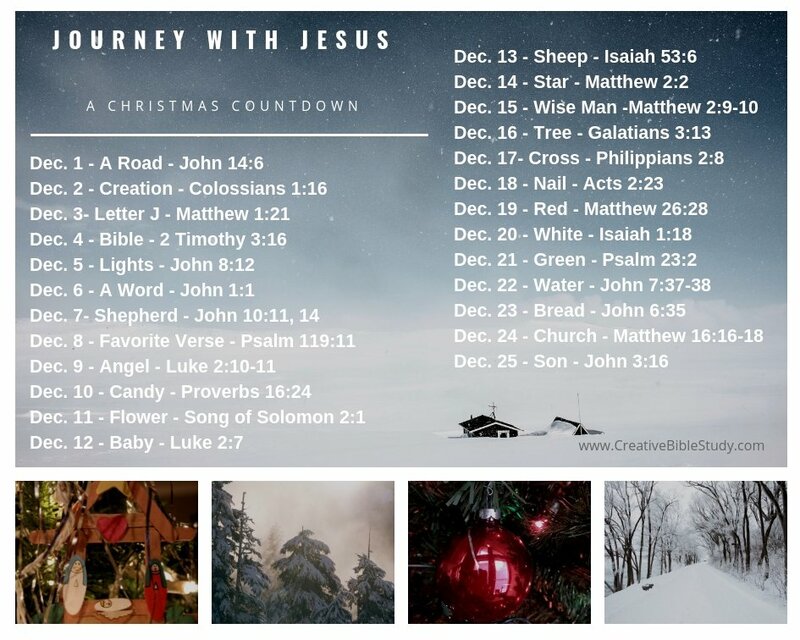 It’s a fun way to enjoy the presence of Christ each and every day as we look towards celebrating His birthday on this Christmas devotion journey with Jesus! The Greek word translated here as “word” is “logos” which relates to reasoning. Our English word “logic” has it’s origin here too. Let that sink in a moment. Jesus is the Word. He is reasoning. He is meaning. He is logic. Jesus makes life make sense! And truly – Jesus is the reason for the season! A word is not just a bunch of random letters. Each word has order and gives meaning. What in your life right now is bringing meaning to your existence? This was one of the greatest things that changed in my life when Jesus came into my life; my life now has meaning and purpose…it makes sense! A word whether spoken or read shares a thought; it references something beyond the letters. The letters – V, R, R, E, I – have no meaning in and of themselves, but when they are arranged as – RIVER, they bring to mind a picture of water running through a channel. Even though God reveals Himself throughout creation, He wanted to make sure we understood Who He is…so He sent His Son, Jesus, as The Word – Who was in the beginning with Him and is God Himself. We can know Him. There are words all around us everyday – from the cereal box or newspaper to stop signs and billboards. Let each one cause us to think of Jesus, The Word, and seek to know Him better by understanding all the meaning He brings to life. 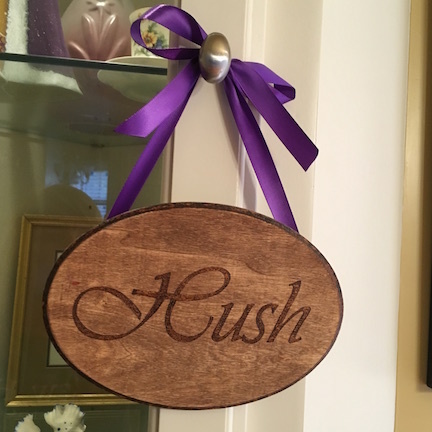 My photo is of the word "HUSH" on a plaque a special friend gave me one Christmas. "HUSH" may seem like an odd word to be hanging around your house, but I had used it as an acronym for a Christmas devotion message I shared at our church's ladies' Christmas brunch. H - Is for "Him". When we put Him (Jesus) first in our lives, He gives us that sweet "hush" of peace that all is well. It is also to remind us that He is the One that initiated it ALL! Just as in John 1:1 - He was in the beginning. All things were created by Him and for Him. The hope of salvation all began with Him. U- Is for "Us". It is up to us to receive or reject His sweet "HUSH" of His peace. God chose to love us unconditionally. It is our choice to love Him back. Love isn't love without a choice. SH - Is for "Seek Him". Once we have accepted His gift of salvation, His gift of eternal life, it is only the beginning of this journey with Jesus. We must daily continue seeking Him, seeking His face & His presence. (Psalm 27:8) "Sh" is that sound made to a baby as they are rocked to sleep. It is that calming presence that speaks "all is well." So the "Hush of Christmas" is that sweet peace found in His presence even in the midst of the hustle and bustle of this crazy world. With Jesus, we can truly say - "It is well with my soul." These hands-on ideas for the object lesson will add an extra dimension to use with children either in a family devotion or home-school setting or in a group setting at church. Print out a copy or write the following mixed up paragraph where everyone can see. Ask if they can read it. Have someone read it out loud or have each person write the paragraph correctly. It's amazing that even with the letters jumbled our brains can unscramble and understand the mixed up words when we already know how to read. Talk about how mixed up life can get, but when we already have Jesus in our lives He makes life make sense. Give everyone a sheet of scrambled words and see who can figure them all out first. Talk about how when the letters are out of order and they don't know what the word is, there is no meaning. They are just random letters. But when they are put in the correct order they become a word and therefore give meaning. Jesus is called The Word. He is not random or made up. He is God and brings meaning and purpose to our existence and life.